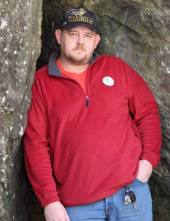 Mr. Roger Eric Armer, age 44 of Taylorsville, GA passed away Tuesday, September 18, 2018. He was born in Mattoon, IL on April 13, 1974, a son of Archie D. Armer and Donna Baker Armer. Mr. Armer had lived most of his life in Taylorsville and was a graduate of Rockmart High School. He was a proud veteran of the United States Marines serving in the Gulf War. Roger was a master woodworker; was involved in a jeep club; loved the outdoors; restoring old cars and was active with Purple Heart activities; and was of the Baptist faith. He had over 20 years of service with Gerdau Ameristeel Corporation of Cartersville. Roger was preceded in death by his grandparents: Carl and Mildred Baker and Flossie Armer; and sister in law, Mika Armer. Survivors include his wife, Penny Harrell Armer of Taylorsville to whom he was married on March 21, 1998; son, Gavin Armer, Taylorsville; mother and father, Donna Armer and Archie D. Armer, Taylorsville; two brothers: Carl Armer, Taylorsville and Christopher Armer and his wife, Tracy, VA; sister, Tia Wilkes and her husband, Shane, Taylorsville; nine nieces and nephews also survive. Funeral services will be held Saturday, September 22, 2018 at 1:00 PM in the chapel of the Alvis Miller & Son Funeral Home with Rev. Steve Lyle and Rev. Earl Wigley officiating. Dr. Brad Ward will deliver a eulogy. Interment will follow in the Taylorsville Cemetery with the American Legion Cartersville Post #42 Honor Guard providing military graveside rites. Pallbearers will include: Jeremy Wilburn, Darrell Grizzle, Zachary Armer, Shaner Gasho, Dennis Queen, Johnny McGinnis, Donnie Lasley and Justin Lasley. The family will receive friends Friday evening, September 21, 2018 from 6:00 until 9:00 PM at the funeral home. The Alvis Miller & Son Funeral Home is in charge of arrangements for Mr. Roger Eric Armer. To send flowers or a remembrance gift to the family of Roger Eric Armer, please visit our Tribute Store. "Email Address" would like to share the life celebration of Roger Eric Armer. Click on the "link" to go to share a favorite memory or leave a condolence message for the family.